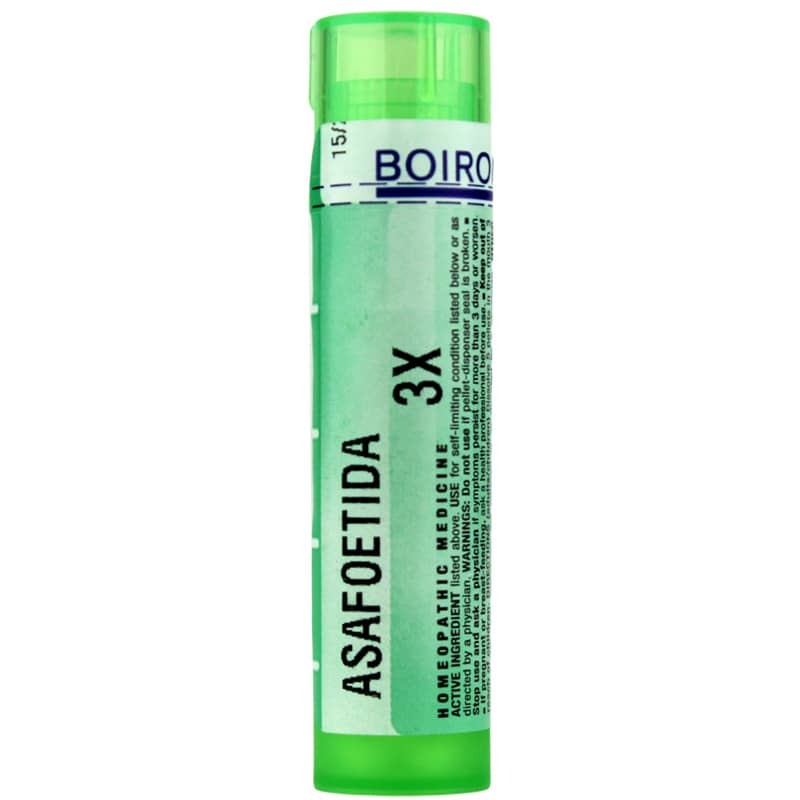 Asafoetida 3X from Boiron is a homeopathic medicine that is used for supporting headache relief*. It may also help support alleviating colitis, indigestion, flatulence and intestinal cramps*. Boiron was founded in France in 1932 by pharmacists Jean and Henri Boiron. Since then, it has grown to become one of the largest homeopathic manufacturers today. Their mission is to promote scientific homeopathy as a more compassionate, ecological, and comprehensive approach to medicine. All U.S. Boiron products are manufactured in strict accordance with FDA and HPUS regulations for homeopathic medicines. Adults: Dissolve 5 pellets in the mouth, 3 times a day until symptoms are relieved or as recommended by a healthcare professional. If you are pregnant or nursing, please consult your healthcare professional before using this product. Keep out of the reach of children. Stop use and ask a physician if symptoms persist for more than 3 days or worsen.